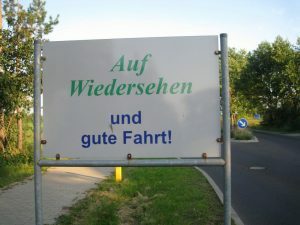 To English speakers it is a funny word that sounds a lot like the English word fart. Now…what exactly does the German word “Ausfahrt” have to do with the English meaning of “fart”? To be exact … nothing. However it has everything to do with the German love for making new words by simply putting together existing words. “Ausfahrt”, the German word for exit, is a combination of two words: “aus”, meaning out of, and “Fahrt”, meaning journey or drive. If you’d like to wish someone a pleasant journey, you say, “Auf Wiedersehen und gute Fahrt”. Pretty logical, if you ask me: you’re driving out of something, so the “drive-out” is called Aus-Fahrt. 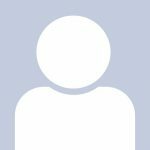 You might be thinking that you could Aus-Fahrt from this page and try a free practical German lesson too, but your German teacher would definitely have a better suggestion for how to say that. Einfahrt is the German word for entrance. 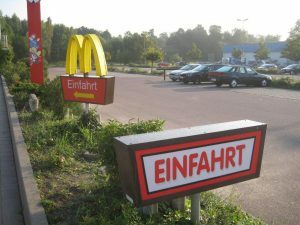 The “Einfahrt” is a combination of “ein”, meaning “in” or “into”, and — “Fahrt”, you guessed it. Any clue what an Einfahrt is, then? Right, an into-drive, literally, or an entrance. 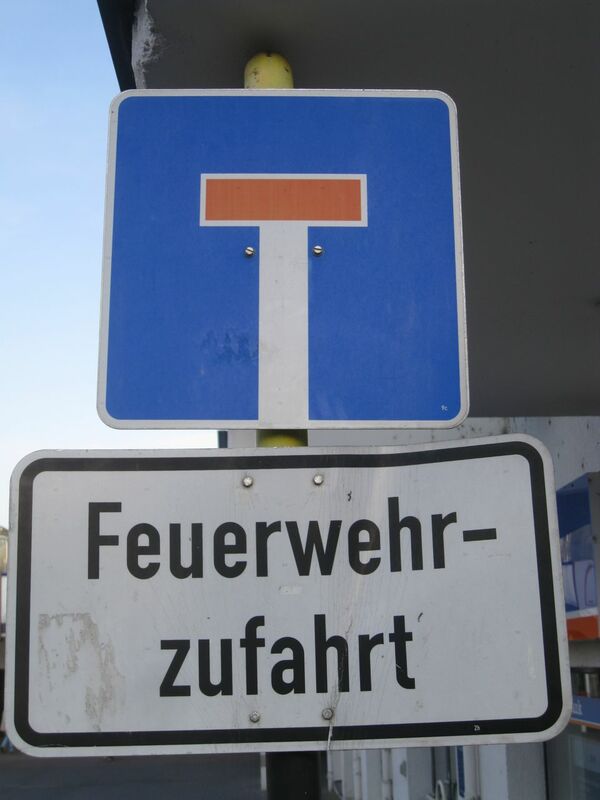 On a side note, “Ausfahrt” and “Einfahrt” can only refer to exits and entrances for vehicles. “Fahrt” means “drive” or “journey”, so only vehicles which can be driven (or ridden, such as a bike, a bus, a train, etc.) can drive into or out of the Ausfahrt or Einfahrt. Die Ausfahrt ist links. The exit is left. The exit is on the left-hand side. Nimm diese Ausfahrt! Take this exit! Die Ausfahrt ist eng. The exit is narrow. The German language is basically a big word puzzle. But once you understand that big long scary looking words are usually combinations of short simple words that you already know, the German word puzzle gets a lot easier. If you take the simple word “Fahrt” and add different prefixes, you get all kinds of fun signs. Take a look at this sign: Feuerwehrzufahrt. That means firebrigade entrance and yes it’s really all one big word. However if you start taking the word apart it’s simple. Now that you know the word “Fahrt“ and its derivatives you’ll be a better driver in Germany and German train travel will be easier as well. Abfahrt is made up of “ab” and “Fahrt”. By now you know what Fahrt means. “Ab” is the German word for “off”: The departure, or “off-drive”, literally, is the time when the train takes off. Isn’t German wonderfully logical? Germans are exact (or so we like to say), and our language is exact as well. That’s why we have specific words for things other languages have to describe with complete sentences. Instead of saying “the way there”, for example, we piece together the preposition “hin”, which means “to, towards, there” and the word “Fahrt” and get, voilà, “Hinfahrt”, literally, “to-drive”, or the way there. One word instead of three! You probably figured by now that there’s a word for the way back as well: It’s “Rückfahrt”, “rück” being a short form of “zurück”, which means back, and our old friend “Fahrt”, once again. Radfahrt – a composite of “Rad” (bike) and “Fahrt” (journey), “Autofahrt” – consisting of “Auto” (car) and “Fahrt” (drive), “Bahnfahrt” – puzzled together out of “Bahn” (train) and “Fahrt” (journey). I’ll stop here, but the list goes on. And all this with one simple word that sounds funny to most English ears: “Fahrt”. Having fun yet? That’s German for you! It’s very exact. The good news is that the really big words are almost always combinations of little words which makes learning and understanding them a LOT easier. If you are planning on traveling to Germany or if you are already in German, you will definitely have a LOT more fun if you can speak at least a little German. This German learning program is very good at getting you conversational basics very quickly. Absolutely wonderful. Besides the laughs about “fahrt”–as inspired by the new roller coaster at Busch Gardens Williamsburg Va called “Verbolten”– I actually learned a lot about the German language in just a little space. Lets’ see now. Verboten is a German word that means something like, “It’s strongly forbidden.” Sounds like a good name for a roller coaster! 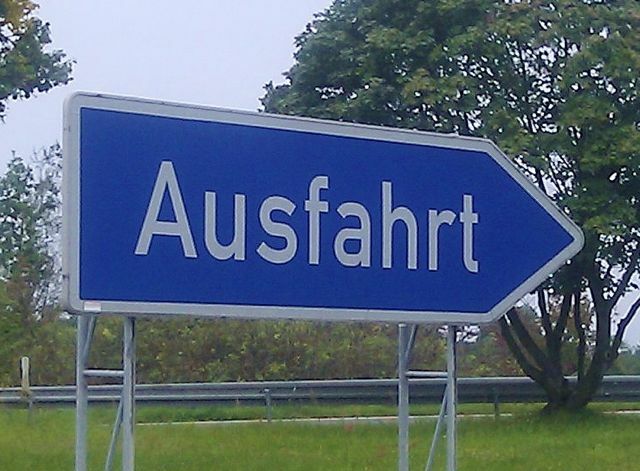 The running joke in Germany was to ask American newcomers if they had been to the town of Ausfahrt yet. It’s easy to find-there are exits leading to it all over the Autobahn. That’s pretty good! When I was in Germany it took me some time to figure it out. Wish I had found this website before traveling to Germany last fall. We traveled the autobahn extensively and had a good laugh. Absolutely a beautiful people and country! Will definitely go again! Glad to hear you have fun in Germany. It’s quite a lovely place, is it not? Make sure to brush up on your German lessons before going again. So funny to read this. My 9 year old son and I are in Germany and have been laughing all week about the various types of farht, so this is very timely! We just got back from Germany. It was out 1st family vacation over there, rented a car. We got a kick out of all the ‘Ausfahrt’ signs. Thanks for sharing! How were your language skills? Are you ready for a return visit soon? Read a little 19th century German first to understand what he says about German sentences in newspapers. I am not the author. 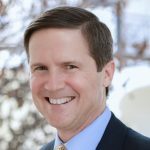 The author of almost (if not) every blog article is the inventor and lead designer of the software Language101.com offers. Many thanks for the excellent excerpt of Mark Twain’s! Certainly his wit and humor about learning German can be appreciated by all who have studied German in depth. Thanks for your comments about “Start Fahrt”. We should ask some Germans what things make them laugh about the American Language. Hi Karmen, You must be German or Austrian, am I right? So when an American or an Aussie, visits a German speaking country and sees all these sings reminding him, that it is “time to fart” it just seems naturally funny. What’s the German informal word for flatulence? My wife,our 3 Children and I are from Australia and we were travelling in our campervan along a German motorway. We saw a series of Ausfaht signs we had quite a great laugh thinking talking about us and our habits. Just returned from 12 days in Zurich and Germany visiting seeing the Christmas Markets, churches, and camps. I figured out the einfarhts and ausfarhts pretty quickly while picking up my rental car. I thought I would make up my own German word: einausfarht. Or if you had too much kraut, brats, and gluhwein then you use the word zweiausfarht. My wife was not amused. My german skills aren’t bad for someone who’s never been there (somewhat better than “KinderDeutch”). I immediately started laughing! Funniest shirt I’ve ever owned!